I love photographing and working with families. These two special girls — Sunny and her daughter Lucy are the best! Even Dutch, their sweet dog joined the fun! Our 90-minute photo session included family portraiture, career portraits for Sunny, and portraits of Lucy using the lawn, ivy gazebo, the forest, and shots indoors. Thank you Sunny, Lucy, and Dutch — I really enjoyed our time together!!! Sunny, Lucy, and their pet Dutch on the lawn for a family portrait. Jolly Sienda Photography works with you to capture you and your family at your best! Sunny and her daughter Lucy at the ivy gazebo. Jolly Sienda Photography captures and tells your story with artistry and love! Autumn family portraits and your four legged friends! Let’s have some fun and run through the leaves together! I love photographing family portraits. There’s nothing better than being outside, on a cool fall day, with the sun on your back, beautiful autumn color, and perhaps your four legged friend beside you. Family Portrait and Family Pet Photography at your home. Congratulations to Maurean Grogan and Dan Dimmen! They married on 08-18-18 a palindrome day -- super cool, in a park-like setting on Tiger Lake in Belfair, Washington. The couple and their families pitched in to plan the perfect wedding! It was outdoors, at sunset, with twinkle lights and lanterns. Maurean's sweet doggie was part of the ceremony too. They even had a slick Volkswagen bus for cozy, fun, glam camper shots. Their wedding had it all! With about 120 guests, a roasted suckling pig with all of the fix'ens, a DJ, yard games, and more, guests and the happy couple partied the night away under the stars! The wedding ceremony was full of emotion and love. Everyone could feel the love that Dan and Maurean feel for one another. Weddings are all about family and friends getting together to celebrate the joining of two hearts. Smiles and tears filled the air! Cheers from the guests as the wedding ceremony was about to begin! And, many beautiful family memories...heart and soul with love! Best wishes to the bride, groom, and their families! Cathy Darlington Graham and Ron Jenson, business and real estate partners, with John L. Scott Realty in Belfair, Washington, worked with me recently to create new portraiture for their business cards and other marketing materials. Being real estate agents based on the Pacific Northwest's Kitsap Peninsula, they wanted to do their photo shoot outside using the lush greenery of the Evergreen trees and the blues of the sea at Hood Canal. We had a lot of fun at the photo shoot and the results gave Cathy and Ron a fresh, new look. Also, we did individual portraits and head-shots. Do you need a re-fresh with your professional business and executive portraiture? Please contact me today to book your lifestyle portrait session. I look forward to hearing from you! Getting together with my best best friend, Rachel Z, is always so much fun! We're just a couple of gals that love spending time together, hanging out, trying on clothes, and playing in the outdoor sunshine! On a recent visit, Rachel asked me to take some new photos of her. We had a blast! Here are a few of my favorite shots of Rachel from our portrait and fashion photo session! I do declare, Miss Rachel, you looks great in jeans and on the golf course! Here we are -- just a couple of girls hanging out! Love you Rachel Z! Until the next time!!! Adventure Travel Photography in Morocco! Traveling to Morocco has been on my bucket list for years! I spent one day in Tangiers in 1987 (ferry crossing from Spain). The intriguing sights, sounds, smells, and overall exotic feel called my name. Dreams can come true! In April 2018, my partner and I spent 17 days exploring Morocco. We traveled by car over 1,400 miles, passing through seaside towns, lush green agricultural landscapes, small villages each with their own mosque, up and down through the Rif and the Atlas Mountains, rode camels at the amazing Sahara Desert, and traveled through the rugged and tropical Dades Gorge -- all of this was now ours to share with you! Our driver, Ali, told me daily, "Keep your camera ready because you never know what you're going to see." Boy, was he right! Photographing the people, places, and culture of Morocco ignited my senses, made me SMILE, and fueled my passion to capture the best in international photojournalism. Ali was right, you never know what could be around the corner. Exotic Morocco will bring me wonderful memories that will last a lifetime! How about you? Reach out to me if you are interested in travel photography. I'd love to hear from you! Travel Photography Caribbean Style! Explore, Color, Light, Angles & More! People ask me all of the time -- what's your favorite type of photography? And, I answer by saying, "I love all kinds of photography: portraits, weddings, landscapes, food, etc." However, when I'm traveling and seeing new places I'm sooooo happy!! I'm on sensory overload. There's so much to see! And, I'm paying close attention to what's happening in the moment and how I will take pictures in different settings. I love this challenge! Herd of goats stand on a large lava rock, St. Kitts, Caribbean. Often I'll tell our driver, "Stop the car!" And, I'm jumping out and running to get the shot! Like I did for the goat scene in St. Kitts. I'm also drawn to color, shapes, and changing light. I'm always thinking about the light source and adjusting my camera dials to experiment with different ISO, shutter speed, and aperture settings. Left to right: St Kitts yellow barn and palms; Sunrise after the storm at St. Lucia; Afternoon sun in St. Kitts lights up row houses after a tropical rainstorm. Woman selling plants on the street in Antigua, Caribbean. I enjoy photographing people too using their natural surroundings. In Antigua, Caribbean, I got down low, almost on the ground, and photographed my subject using different angles which adds dimension and interest. It's all about experimentation and seeing what works! After a long day of travel photography, I treat myself to an awe moment on this deserted beach on the Island of St. Lucia. Simply paradise! It's a New Year and a new you! Getting a new professional portrait done of yourself is a positive door opener. Work with a photographer who brings out the best in you and is willing to push you to portray your best self. My professional portrait photography sessions are all about you! And, the session is a lot of fun! Remember, everyone is an individual, so every portrait-photography session is unique and special -- because you are! Let's show the world together a new you! Love to hear from you today to schedule your business portrait photography, senior portrait photography, family portrait photography, bridal portrait photography, and creatively you portrait photo session! Horses are lovely to photograph! 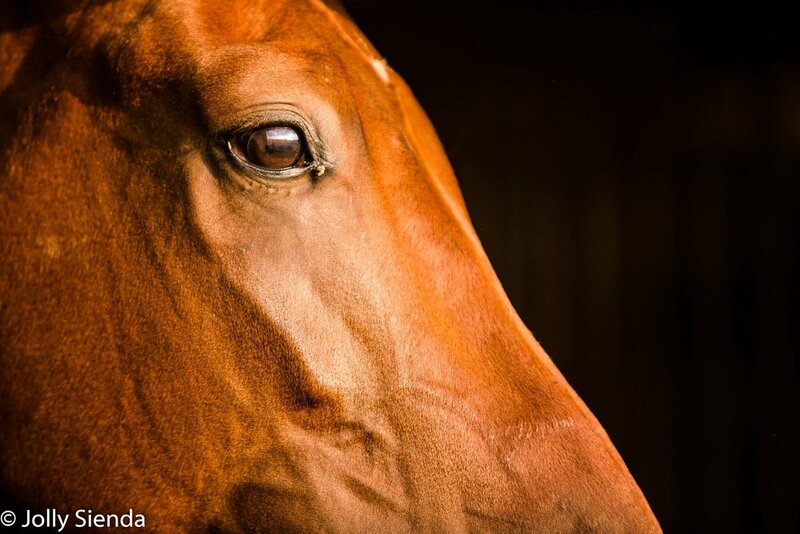 I've been attracted to nature photographer and photographing horses for many years. Fortunately, I've been able to witness them gracefully galloping with a buggy, or as the sun rises and leaves a beautiful glow on their manes. I think horses are lovely and they are very cooperative to portrait photography!